Just a quick update to tell you that I'm returning to the road! I'll be teaching one class at one of my very favorite venues, Art Unraveled, in Phoenix, Arizona. Class dates are August, 4 & 5, 2019. We'll be completely fabricating each element of this beautiful ring...the rose, textured leaf, double base plate and adjustable ring band. There will be lots of sawing, texturing and soldering...all the fun stuff! Best of all, this class will be like a family reunion! I've cut back on my traveling schedule and this will most likely be my only in-person class for the year. So...I can't wait to see you all! There is actually only one spot left in this class (thank you SO much!). Please click HERE for more info. I have a great surprise to begin the new year...a new online class! Rings for Rookies is one of my most popular in-person classes but I know a lot of you can't travel. So...I'm now offering it as an online workshop! yay! There's a limited amount of soldering in this one so it's a fantastic class if you're looking to learn how to solder...I make it easy. I'll also show you how to choose the right stones (important! ), how to properly saw, texture, finish and lots of other metalsmithing techniques. As with all of my classes, I want you to feel like a guest in my studio...looking right over my shoulder. I'll show you the way I create and, as always, I try to offer the best value in online classes. Beware: these are addicting to make! 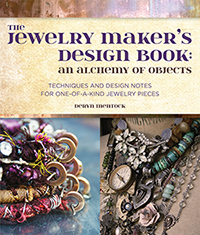 If you're interested in creating something unique and beautiful, while at the same time upping your jewelry skills game, I hope you'll join me for this class. Please click HERE for ALL of the details! It's new! And it's open for registration! Are ya'll interested in making gorgeous, soldered, gemstone rings? This is the class for you! My new online workshop, Rings for Rookies, is an adventure in stones and silver soldering. This class is aimed at beginners but, honestly, there's lots here for more advanced students. Especially if you're not familiar with working with a butane torch. Wait...WHAT?? Yes! You'll be doing all of your soldering with a friendly little butane torch! That's one of the best features of this workshop. I'll show you all the subtleties and nuances of soldering everything from layers to delicate bezels and embellishments, all with an easy to use butane torch. You don't need an expensive, scary, mixed gas torch set up! This class makes soldering accessible. I'm also really excited to show you how to add my special, little peek-a-boo bezels. We'll be doing them both on the ring band and on the bezel (bezel on bezel). They're so beautiful and they add that amazing little surprise that will make your pieces special. You'll have opportunities to get creative in this class as I'll show you how to work with different bezel types. You'll be sawing out your pieces so that they have a beautiful, layered edge and I'll also show you how to make a double stone ring. If you've ever taken an online class with me, you know I give it my all...all the info you need to complete a gorgeous project. My classes are an excellent value and you can watch as many times as you like, any time you like (jammie friendly! ), for the duration of the class. I'll also be there to answer any questions...for the entire class time. If you've never taken a class with me, I'd love to have you! You'll learn silversmithing and we'll make some beautiful rings together! For all the details, click HERE, or on the Rings for Rookies icon in the right sidebar. Karen: "In true Deryn Mentock fashion, these videos and instruction are primo!!! I encourage anyone who is on the fence to LEAP! You will not regret it!" Hello my dear friends! I hope your holidays were happy. Mine were busy with family and work on our little mountain home, here in the foothills of the Big Horn mountains of Wyoming. We're settling in, but I'll tell you...it's a lot of work to move! Here are a few scenes from around our place. Yes...we have snow! Neither of our boys were able to join us for Christmas, for the first time ever...which was pretty difficult but we do have family here in Wyo so we weren't alone, and neither were they. We were blessed with a white Christmas...our first in many years. Small consolation for not having our boys but it was pretty nice! This guy appeared with our first real snow...built by Wife Whisperer and decorated by me. I adored him until a warm wind came the next day and completely he collapsed like a drunkard. Easy come, easy go. This is our road, with the creek on the right. It's really picturesque and we have tons of wildlife out here. Miss Mayzie absolutely loves it and really doesn't know which way to run first. She's got squirrels, turkeys and deer to chase...busy, busy. We have the most beautiful sunrises that I've ever seen (this is our front yard, btw). They start on the other side of the creek and move all the way around until the mountains are tinged pink. Oh...did I say we have snow? Yep...there's snow and we're enjoying it! But, I'm getting ready for my Tucson trip and it's going to be nice to be back into some heat again, too. I'll be teaching two classes at Art Retreat in the Desert, in Tucson, at the end of this month. My Rustic River Pendant class is full but there are two spots left in my Rose Ring class. I've been working on some more samples for this class and I think you're going to love it. I have some fantastic, rose-cut faceted stones for ya'll to use in class, and more to purchase. I hope to see you in class but even if you're not in my class, stop and say hi, anyway, and show me what you got at the gem shows. Gotta shop! I'm happy to announce that my online class, Boho Bliss, is back! I know there are some of you who have waited quite a while for this workshop to come back around and...here it is. Registration is open! Get the details by clicking on the Boho Bliss icon, in the right sidebar...or click HERE. I won't be offering a social media group or instructor participation. But I will be offering the class for longer than usual and, like I said, at a discount. Yay! My life, lately, seems like a constant series of events where I say "I'm winging it!" so this spur of the moment offering seems to fit right in with the way things work. If you've taken a class from me you know that my online classes are the complete package. So, I hate not to participate but ya'll got this. The videos are extremely detailed so you won't miss a thing. See what I mean? How good is that?! If you'd like to see what past students have to say about my online classes, here you go: reviews. Ok...all the deets by clicking here, guys. Now, back to packing!